This bar is awesome! 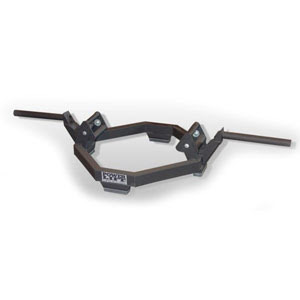 The DEADLIFT - TRAP BAR BY POWER LIFT ... Its 100 pounds EMPTY! Super heavy duty, The loading bar is high so plates can be loaded easily and 45's are off the floor! Its a breeze to change plates! There are rubber floor bumpers that hit the floor ... not the plates. 3 grip sizes that snap into place.